GSP has a long track record of bringing diverse groups together to combine our organizing power and win – and it’s made a difference! GSP helped win I-1433 to Raise Up Washington by increasing engagement of Eastern Washington organizations. Helped win Prop. 1 – Yes for Buses by developing a diverse coalition and getting out the vote. GSP and Smart Justice Spokane (SJS) helped win national support for reducing over-incarceration and racial disparities though the MacArthur Foundation’s Safety and Justice Challenge award to Spokane County. GSP organized a racial equity training for 100 individuals representing over 30 organizations. For example, the GSP Racial Equity Committee coordinates the GSP Racial Equity Trainers Cohort to lead the racial equity training Race: The Power of an Illusion. GSP and SJS successfully advocated for the Spokane Regional Law and Justice Council to appoint members from communities of color and form a Racial Equity Subcommittee. GSP worked with SJS to influence the Criminal Justice Commission’s final Blue Print for Reform and the criminal justice reform process. GSP helped member organizations pass two ballot measures: Police Accountability measure passed with 70% of the vote. Library bond passed with 66% of the vote. GSP convened Smart Justice Spokane to bring the power of over 30 organizations to end mass incarceration and eliminate racial disparities in the Spokane County Jail. 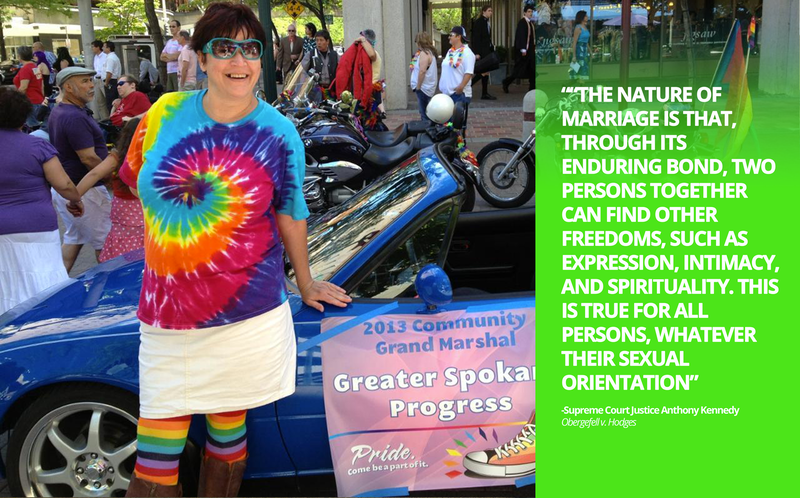 GSP helped win marriage equality by 51% in the City of Spokane by working with a local committee of leaders to turn out voters. GSP helped pass the City of Spokane’s Complete Streets ordinance.